Mumbai,28th December 2018: After serving the people of the country for nearly a decade with a complete kitchen solutions, India's one of the leading & encompassing kitchen appliance brand, Kutchina, has set its feet in the International market with its first ever exclusive store inKathmandu, Nepal. Mr. Namit Bajoria, Director, Kutchina was present at the grand inauguration of the store and briefed the media about his future business plans for the country. Situated at Krishna Marble Premises, Subidha Nagar, Tinkune, Kathmandu, the showroom is spread across 500Sqft and offers all the new and improved range of big kitchen appliances and modular kitchens with the advanced innovations from the house of Kutchina. The store is equipped to cater to the changing tastes and preferences of the people of Nepal, which dwells across the city and nearby territories. Their purchasing power has increased in recent years, but accessibility to complete kitchen needs at one place was rare in the country, which Kutchina will offer. “Our aim is to transform the cooking scenario in the kitchens and make it a lifestyle experience. 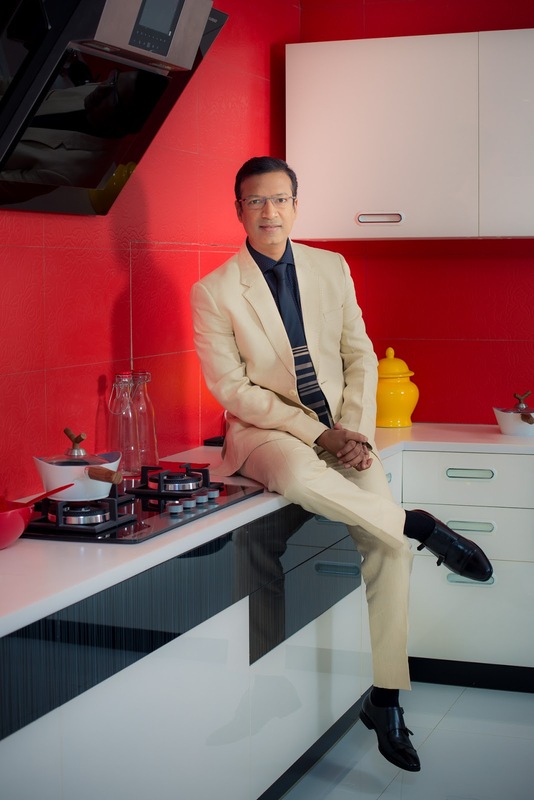 We have witnessed increasing demand for our products in Nepal and so we are continuously striving to offer better products and make contemporary cooking a lifestyle experience even outside India”, said Mr. Namit Bajoria, Director, Kutchina. Mr. Bajoria envisioned to start a holistic kitchen solution brand and towards this endeavour, he started expanding his business by including modular kitchens, modular kitchen cabinets to enhance the feel-good atmosphere in the kitchens and also diversified into a whole range of small appliances and home appliances like juicer, mixer-grinders, sandwich makers, toasters and others. They have also introduced chimneys with LCD monitors and hobs with timer controls. A separate range of cooktops is also sold under the large kitchen appliances category. Today Kutchina has emerged as one of the most dominant brands in modular kitchens with the capability of producing customized kitchens of almost all possible varieties. ABOUT KUTCHINA: In its 30 years of existence, the company has built over 1800 point of sales across the country in addition to its presence in the online business. It also has 37 service centres and National toll-free number for prompt service and maintenance. Brand Kutchina has won numerous accolades that are testimonial to the company’s excellence both in quality and service. The company has a team of over 2000 personnel across various functions. Having successfully delivered reliable products like Chimneys, Hobs, Dishwasher, Built in Microwave Oven, Built in Oven and Water Purifier, Kutchina has now forayed in to the kitchen interiors with the launch of state of art modular kitchens.